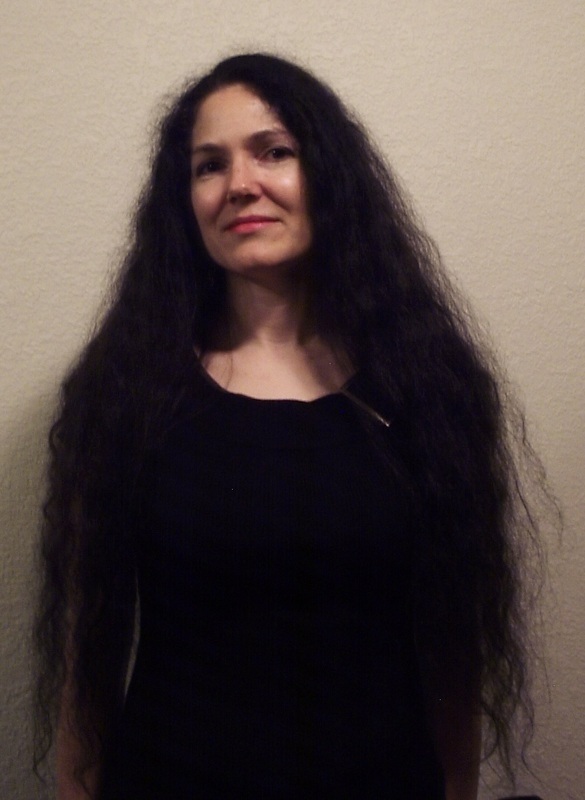 Leigh M. Lane is one of thirteen contestants in Wicked Women Writers contest at HorrorAddicts.Net. This is the first in a series of guest blogs and interviews featuring the contestants for this contest. This year, the WWW Challenge theme is How Will You Survive? Each of our WWW was assigned an apocalyptic disaster, a location, a helpful object, and an untimely disability. Voting starts September 7th and ends October 7th. Stories will air on podcast #95 September 7th on the http://www.horroraddicts.netshow. To vote, email horroraddicts@gmail.com. Put “vote” in the subject line. As writers, we learn to avoid clichés at nearly all costs. Be original. Don’t mar your work with abused terms and phrases. You shall be doomed to oblivion if you rinse and repeat. While that’s good advice, clichés are a lot like grammatical rules: if you understand their place, sometimes it’s appropriate—or even fruitful—to break the rules. I love clichés. Perhaps I should rephrase that…. I love finding original ways of playing with them. It can be a fun change of pace to turn my world right-side up. Sometimes it’s a worthwhile gamble to put all of my Easter eggs in one hell of a hand basket. Words are meant to be manipulated, twisted, and thrown with abandon alongside that handful of caution to the wind. We’re meant to take chances with them, to own them with confidence. There are only a few original stories, all told through a shared stable of obstacles and goals; it’s how we tell them that makes them unique. When it comes to horror, cliché is everywhere. How many vampire stories have authors written over the centuries (and how many of them are Dracula written in different time periods and their own unique casts of characters)? How many zombie novels are released each day on Amazon (and how many of them are strikingly similar thematically to Night of the Living Dead)? Heard a good ghost story lately? While all of these have been retold to death, authors still find new and exciting ways to make them fresh and different. Even the less successful attempts at this are admirable, simply because their writers made an attempt to breathe new life into what might otherwise be painfully recycled tropes. When I begin developing a new story, I try to take a close look at what others have already done then ask myself, “How can I make this indisputably mine?” By examining the works of the past (and often also contemporary works within the same category and genre), a clear picture of what not to do slowly develops. But how does one not write a zombie story that does not end up a run-of-the-mill study of the collapse in social mores in the wake amongst undead flesh eaters and post-apocalyptic fury? I’ve seen some very creative approaches, even some brilliant takes on the overused standbys, but they have one thing in common: their writers took the time to understand and learn how to use the clichés threatening to stand in their way. In my short story “The Corruption,” I chose to twist the zombie apocalypse trope by replacing a deadly infection with nanoparticles. I also allowed those infected to possess human-level cognition. The threat? They cannot feel. They are the antithesis of the compassionate, emotional beings most of us would agree defines us. They threaten to expunge the very soul of humanity. This approach allowed me to hold onto the important aspects of the stereotypical zombie story while veering away from the overused aspects to it. Do I define “The Corruption” as a zombie story? Not exactly. I see it as more of a cyberpunk horror with small, controlled tastes of what might otherwise be rotting corpses of zombie lore. My Wicked Women Writers podcast, “Enter the Corruption,” is its prequel, offering a glimpse of the beginning of the end. And that’s a wrap; Leigh M. Lane over and out. Leigh M. Lane has been writing for over twenty years. She has ten published novels and twelve published short stories divided among different genre-specific pseudonyms. She is married to editor Thomas B. Lane, Jr. and currently resides in the beautiful mountains of western Montana. Her traditional Gothic horror novel, Finding Poe, was a 2013 EPIC Awards finalist in horror. Her other novels include the supernatural thriller, The Hidden Valley Horror, inspired by Barker, Bradbury, and King; World-Mart, a tribute to Orwell, Serling, and Vonnegut; and the dark allegorical tale, Myths of Gods. For more information, visit her website at http://www.cerebralwriter.com, her Amazon author page at http://www.amazon.com/Leigh-M.-Lane/e/B0055DSE6Y, or “like” her on Facebook at https://www.facebook.com/AuthorLeighMLane. ~ by Sumiko Saulson on September 8, 2013.